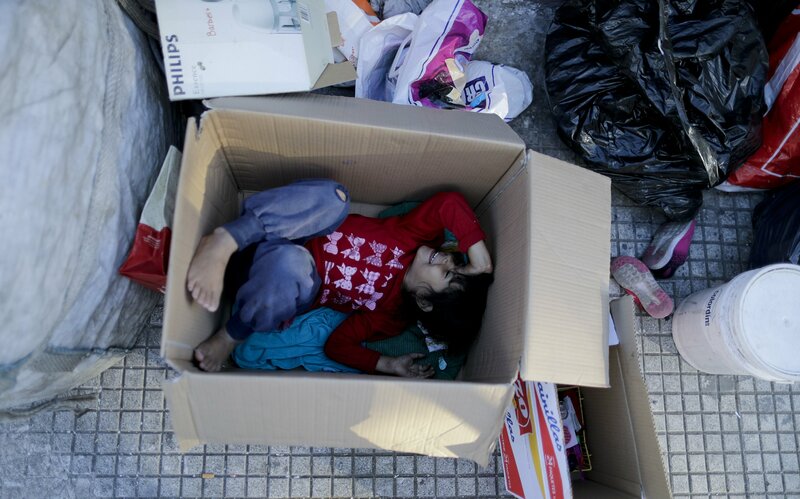 BUENOS AIRES, Argentina — A smiling two-year-old Valentina Aleman runs down a sidewalk in Buenos Aires, dodging cardboard boxes, a worn-out sofa and a broken refrigerator without noticing the cars zooming dangerously close to her and others — risks of living on the streets. The number of people in extreme poverty in Argentina’s capital – the country’s wealthiest area – has doubled in the past three years to 6.5 percent, or about 198,000 people, according to official figures. The Buenos Aires city government has yet to release homeless numbers for the end of 2018, but local civic groups estimate the figure at around 8,000 people.